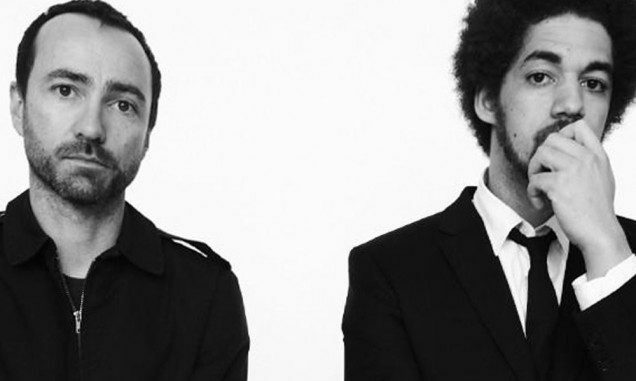 Broken Bells have unveiled “It’s That Talk Again”, a previously unreleased track from the After the Disco recording sessions. Listen to “It’s That Talk Again” below. 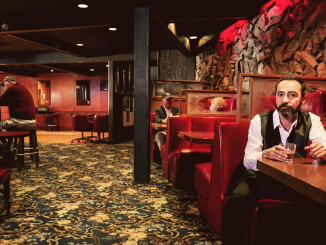 Also following a lengthy 2014 world tour that hopscotched the Atlantic and entertained thousands on the globe’s most prestigious stages, Broken Bells will bring their acclaimed live show to living rooms across the country. “Broken Bells: Live at the Orpheum Theater” showcases James Mercer and Brian Burton’s beautiful live performance that was shot during an October 24, 2014 show at the Orpheum Theater in Los Angeles before the conclusion of their tour. The live concert film will premiere on the Palladia television network on September 26th at 9/8c. “Broken Bells: Live at the Orpheum Theater” features live renditions of songs selected from Broken Bells’ Grammy-nominated, self-titled debut album as well as its celebrated follow-up, After the Disco. Accompanying the performance are stunning visual motifs – such as imagery from their After the Disco mini film and the familiar pink orb fans will immediately recognize – that weave story lines throughout the set. A full listing of songs performed during the concert film is available below. Additional airings of “Broken Bells: Live at the Orpheum Theater” will be available during the times listed below. All encore airings are listed as Eastern Standard Time. For airings in other time zones, please consult your local listings.